Seattle ballet fans might want to check out the new documentary film "Afternoon of a Faun," about the late New York City Ballet dancer Tanaquil LeClercq. Tanny, as she was known to her friends, was a rising star when she contracted polio in 1956. She was only 27 years old. "Afternoon of a Faun" shows us some ghostly footage of LeClercq as a young dancer. It also addresses the pain she faced as she came to grips with her physical situation. But more than that, the documentary provides a glimpse at Tanny's husband, George Balanchine, and the very complex relationships the choreographer formed with the women who inspired his art. As an added highlight, we see a bit of the complicated friendship between Tanny and choreographer Jerome Robbins. Most of all, it's food for thought on the fleeting life of a dancer, whether due to illness or the fact that a dancer's performance life is limited. The film plays at Seattle's Varsity Theater. I can't imagine it'll stick around for a long run, but it's definitely worth checking out now. 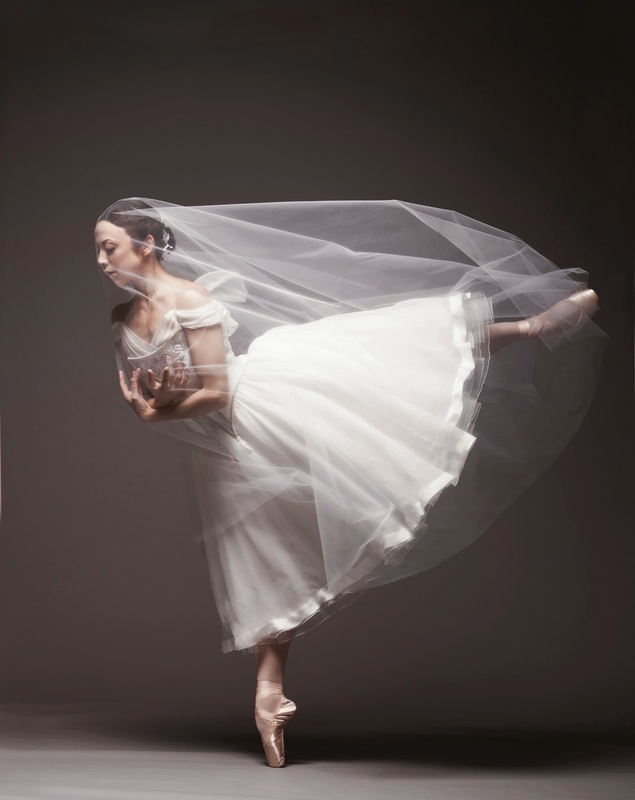 Kaori Nakamura in Peter Boal's "Giselle"
In other ballet news: Pacific Northwest Ballet's eternally beautiful principal dancer Kaori Nakamura gives her farewell performance Sunday, June 8th. Nakamura announced last fall that this artistic season would be her last. Now in her early 40's, Nakamura is more lovely than ever onstage. But ballet's physical demands have taken their toll. Lucky PNB students: Nakamura will join the faculty of the company's dance school. You can also see Kaori Nakamura dance the title role in "Giselle", opening Friday May 30th at McCaw Hall. Also taking their last Seattle bows June 8th: Liora Neuville, a lovely PNB corps de ballet member who has given us some gently pretty performances over her years with the company. According to PNB, Neuville will head to nursing school. 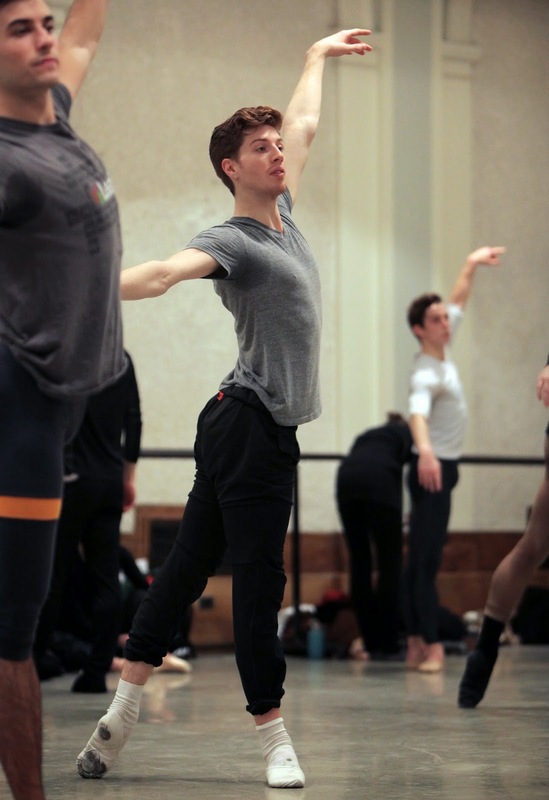 A bigger loss to local audiences: corps member and emerging choreographer Andrew Bartee leaves the company when the season ends. The long, lanky redhead has shone in such contemporary work as Crystal Pite's "Emergence," (re-emerging on June 8th) and Ulysses Dove's "Dancing On The Front Porch Of Heaven." He's also been a semi-regular with Olivier Wevers' company Whim W'him. Lucky for us, Bartee is only a road trip away: he's joining Ballet BC. Good luck Andrew; how we will miss you! Looking ahead to some other dance events in May: Whim W'him will be at Seattle's Erickson Theater, in a new program called #unprotected. Look for new work by Anabelle Lopez Ochoa, the aforementioned Andrew Bartee, and company Artistic Director Wevers. The show runs May 15-23rd. And Donald Byrd's Spectrum Dance Theater presents "Rambunctious: A Festival of American Composers and Dance" May 15-17th at Fremont Abbey Arts Center and May 22-24th at Washington Hall. The festival features seven new works with live accompaniment by Simple Measures chamber music ensemble. Byrd told me no two programs will be the same. Between "Rambunctious" and #unprotected, plus "Giselle" in late May, it looks like Seattle's in for a wild dance ride. Bring it on!